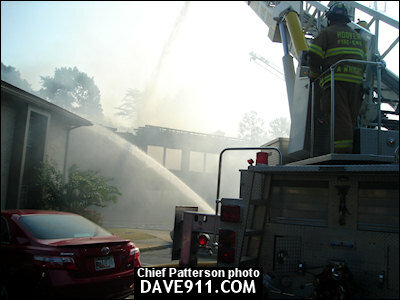 Hoover Firefighters responded to the Clubhouse at The Abbey at Wisteria Crest early Friday morning. 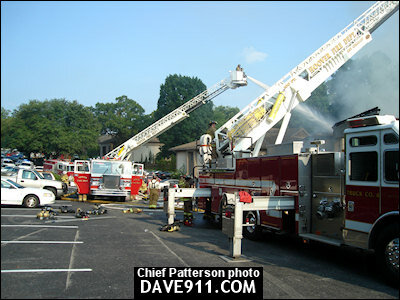 Upon arrival, crews found smoke pouring from the building and began their attack. 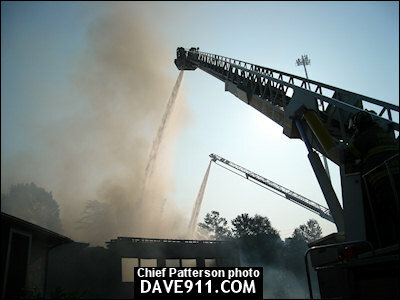 The fire, which went to 2 alarms, was extinguished around 10:30AM. 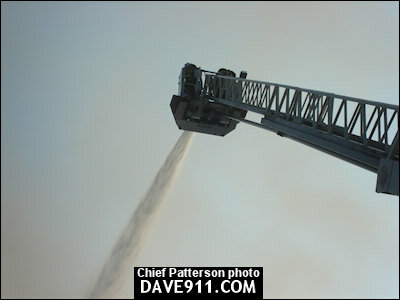 The cause of the fire is thought to be suspicious and under investigation. 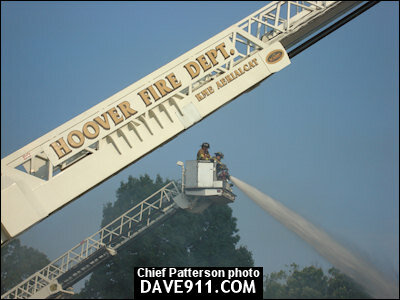 Great work was done by Hoover Firefighters to protect the nearby apartment building, which was only a few feet away from the involved structure! 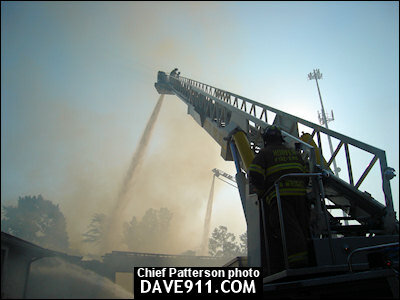 A special thank you to Chief Patterson for sharing these great shots!